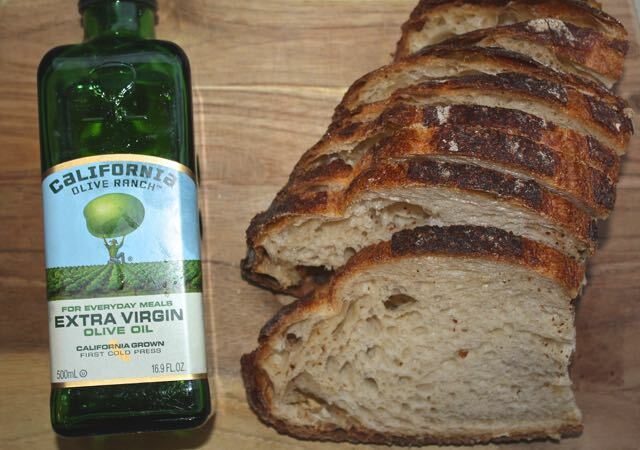 Let’s talk about sourdough bread & FODMAPs! 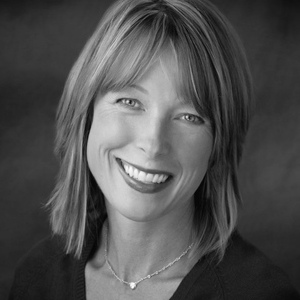 I am back from my European tour, talking about FODMAPs at two amazing events: Gastro Diet 2015 in Prato, Italy, a fantastic scientific meeting including the latest research pertaining to the low FODMAP diet and the FODMAP Around the World conference in Rotterdam, Netherlands a day of learning for dietitians geared more toward the practical approach to implementing the low FODMAP diet. 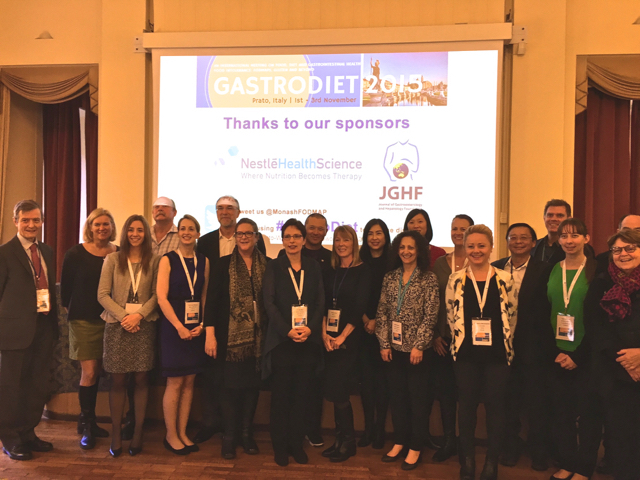 Here are the speakers at the Gastro Diet. I am honored to be in this group! 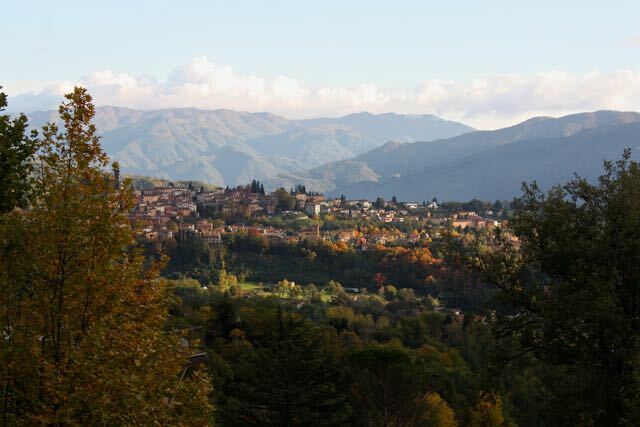 Being invited to speak in Italy comes with a few perks….the food, the wine and the scenery! In my talk at Gasto Diet 2015, I spoke about the challenges of implementing the low FODMAP diet in the US with a particular focus on food portion sizes and food additives commonly used in US foods, particularly, high fructose corn syrup. We have known for a while that sourdough spelt bread (analyzed by the Monash University team) was found to be low FODMAP. More recently, Monash University analyzed breads from around the globe, including some US breads! Food analysis revealed that US wholemeal wheat sourdough and white sourdough met the criteria for a low FODMAP food choice for two slices! Did you know that? Why might some sourdough breads be lower in FODMAPs? The sourdough culture (a mixture of wild yeast and lactobacillus bacteria) added to the grains will actually consume some of the carbohydrates, including some of the FODMAPs in the process of fermentation. Sourdough bread is leavened by the gas produced by the microbes as they consume the carbohydrates in the bread, reducing the FODMAP content. Call the company and ask if their sourdough bread is a slow rise product. Do they allow it to naturally leaven for 1-2 days? One of my favorite sourdough bread is Iggy’s Francese loaf. It tastes great dipped in a little olive oil, Parmesan cheese and red pepper flakes. I have always tolerated Iggy’s Francese bread, it is a family favorite and it makes a mean grilled cheese! 🙂 Interestingly, Iggy’s breads are made in Massachusetts and also in Australia! Iggy’s staff was very helpful providing some information about their sourdough bread products. My favorite Iggy’s breads include the Francese and Country loaves, both of which are made using natural leaveners, i.e. sourdough starters. The process spans over two days. Starters are made the night before and allowed to ferment overnight, then incorporated into the dough, fermented and shaped during the day, to be baked at night. Iggy’s bagels are made with a sourdough starter and a yeasted preferment. The process to make the desirable bagel texture is a bit different than how Iggy’s makes their other sourdough breads–but based on the information they provided, I suspect the bagels have some reduction in FODMAP carbohydrates. The sourdough starter and yeast ferment overnight, for anywhere between 12 and 16 hours, then the dough ferments for about an hour before shaping, and then bagels are retarded for another 12 to 18 hours, again to enhance flavor and texture. Since the bagel dough is very dense, a touch of yeast is added, though minimal to the final dough. Nashoba Bakery also has a slow rise sourdough white bread made w/o yeast. Breadsmith also has a white sourdough that looks like it might be slow risen and therefore potentially low or lower FODMAP too! You might be saying…But I thought wheat was not allowed on the low FODMAP diet? Well, wheat does contain fructans, a source of oligosaccharides (the “O” in FODMAPs). But, the low FODMAP diet does not have to be free of wheat…just reduced in wheat. If you look closely at the Monash University app, you will find that small amounts of wheat based pretzels and crackers are ‘green lighted’ or considered low FODMAP in reasonable serving sizes. Of course, individuals with celiac disease or sensitivity to gluten would require a wheat free, gluten free diet. Work closely with your dietitian to explore different foods to your personal tolerance and desires. Consider calling your local bread companies to inquire if they produce slow rise breads made with sourdough culture. Of course, if you don’t want to consume wheat, you certainly do not have to. Personally, I like the option of enjoying sourdough bread at a restaurant or a tasty chewy sandwich at home every now and again. And if you are creative in the kitchen, King Arthur Flour sells the sourdough culture, perhaps try making some slow rise bread on your own! And if you have found a nice sourdough bread that you tolerate and enjoy….please do share! It is good to be home…but I have to admit, I miss Italy! Awesome post Kate. So glad you were able to attend the conference, see such a beautiful area, and bring back this useful info for us. BTW, did you happen to get any recipes for making your own safe sour dough bread? Did they mention how to make this wild yeast and which starter cultures might be best for those of us with more limited options. Sometimes it is just easier to make it ourselves instead of trying to find items and then when we finally do, the item gets discontinued or the ingredients change. Thanks for sharing Diana! There are many UK folks that follow along here. Sorry Deborah….no tips on making it. I don’t think it is that difficult as I have had friends make there own sourdough and King Arthur offers their own sourdough culture for sale. I love sourdough bread and have had a starter in my refrigerator a few times in my life. When you bake sourdough breads often, the microbes in the kitchen change, which positively affects all the breads rising in the room. Bakeries that have that yeasty smell have yeast microbes in the air. I just want to reiterate your suggestion to call the local bakery and ask them about their procedures. If its a small commercial bakery, the rep who answers will likely proudly tell you about their product. When you’re standing in the bread aisle, get out your phone and call. If no one’s around, the number is there to call back in the morning (when bakeries are open). If you don’t have a fructans issue (its the only FODMAP I don’t have a problem with) here are some good posts about starting your own; each contributes something different. You can’t imagine how exciting this news is for me! I miss a nice slice of bread more than any food item on the FODMAP diet. Thanks for sharing your knowledge and recommending some products! When I saw that Monash had ok-ed wheat sourdough I did an experiment of my own, and I’m so excited to introduce wheat bread back into my diet. Currently enjoying a loaf of rosemary sourdough from the Whole Foods bakery! Yay! Glad to hear that Maria! Glad you stopped by Carly! For folks looking for commercial sourdough, I’ve had no problems with the Sprouts store-brand sourdough. Even ate it a few times a week during the elimination phase without issues! Regular wheat bread usually causes me problems, so they must let their sourdough rise for long enough. 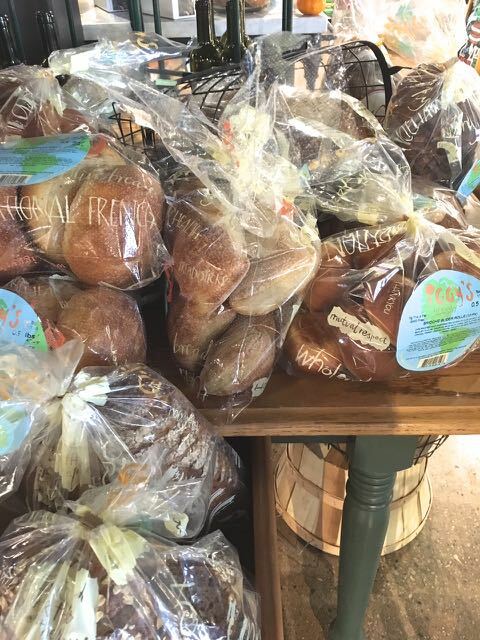 Hi Kiki – a question: are you referring to the Sprout’s Artisan San Francisco sourdough or the Sprout’s sourdough sandwich bread? The sandwich bread has yeast as the second-to-the-last ingredient and I thought yeast increased FODMAPs…Thanks for any assistance! When yeast is added to a sourdough bread–this likely means that it was added to speed up the rising/leavening process. FODMAPs are reduced by sourdough culture when allowed to slowly ferment in the dough. So, yeast added as an ingredient in a sourdough bread means that the bread may have some reduction in FODMAPs–but not as much as a bread that is leavened by sourdough culture alone. That’s interesting because Sprouts Sourdough (SF artisan) caused me a major gut issue last week. I had it at a meal where we ate raw shredded cabbage (the type you buy to make coleslaw with) and served sautéed pork atop the cabbage. We had the sourdough with grassfed butter, as calcium binds to phytic acid and further removes any traces still left in the grain of the bread. Within less than an hour I was extremely bloated. We then had this meal again for leftovers the next day. Well both times, gas and pain and bloating so I’m sure it was something in the meal! I blamed the cabbage at first, thinking if broccoli is a FODMAP, cabbage must be, too, but it isn’t. I blamed having too MUCH cabbage, or even too much bread (and those are still plausible possibilities to me – cabbage may not be FODMAP as per the Monash app I have, but it sure is sulfuric). I also blamed the small amount of garlic powder on the pork but I use the same small amount on almost every meat we make and I do fine. It could literally be the quantity of FODMAPs between garlic powder and sourdough. I have SIBO and I’m on an herbal protocol to kill the bacteria so I’m trying to stay low FODMAP to starve the little buggers out. Before I found out I had SIBO I swore I had become a Celiac because I couldnt do any grain but white rice. Supposedly gluten is eaten by the lactobacilli in the fermentation process so if sourdough is A) essentially gluten free B) essentially phytic acid free, and C) essentially FODMAP free…. My only conclusion is Sprouts may not be doing a long enough ferment to erase A, B, and C for people very sensitive to wheat. On the King Arthur blog they give recipes for pizza dough, popovers, rolls etc. The recipe uses the starter and then adds regular flour with gluten and sometimes adds yeast. Because the whole recipe isn’t then slow risen again, does that mean it isn’t FODMAP friendly? My mom just picked up a sourdough bread loaf from Trader Joe’s for me, but I am not sure if this would be a good one to try. It does not have any sweeteners or honey I can see, and has less than 1g of sugar. It is multigrain and has several different flours that are used. I am not used to reading labels with different gluten-containing ingredients since I usually just put those down. The name of the loaf is called Trader Joe’s San Francisco style Multigrain Sourdough Bread. Any advice? Kelly, if the sourdough bread does not have yeast as an ingredient–then it should be slowly risen…and might be worth a try. Kate, does the sourdough bread need to rise 48 hours, or would 24 be sufficient. I found a sourdough bread bakery in our local area that specializes in sourdough breads and they let it rise only 24 hours with the wild fermentation, so checking to see if this is sufficient. My dd is not celiac per blood and endoscopy done several years ago, but she does have issues with probably a leaky gut too. She comes back mildly positive on various different skin tests through allergist but then IGE blood always is negative, so I’m thinking if we can reduce the gluten also, this may help with some of her other food intolernaces. She was also MSPI as a baby and corn syrup solids in formula did her in also. Lot’s of reflux from the corn syrup solids in commercial formulas. . So, I plan to work on baking my own at home once we trial the sourdough more, but if I should let it rise 48 hours vs 24 for more carbs eaten and gluten eaten, I would prefer to let it rise longer. Did they talk about 24 vs 48 hour leavening times?? Any knowledge you can share?? No discussions about the length of time for fermentation–though suspect longer may lower fructans and gluten. Food is complex and there are so many variables that factor into gluten and fructan content of a food product. I would think the 24 hours fermentation should be enough–but it just might be worth trying small amounts of the bread to assess her tolerance. 1/2 slice then advance to full slice next day–etc. Hi Kate, thanks for the info. I was thinking 24 hours was the magic number, but wanted to verify. Also, I don’t want to overdue the fermentation either, because I’m dealing with two buckets here, fodmaps and histamine bucket. So, it’s a huge balancing act. On another note, want to ask if any of these top docs researching the Functional GI disorders, have looked at the second ingredient in almost all commercial breads and store bought flours. It is the malted barley flour added to wheat flour. Malted anything is highly fermentable and higher on the histamine side too. So, it’s a double whammy. And, barley is a fodmap too. I have found that my dd can eat wheat products I make homemade without any adverse side effects when i use Hodgson’s Mills unbleached white wheat flour that has No added Malted Barley flour in it. . But, give her a slice of regular store bought bread, and it gives her nausea. She also has no issues with pasta, but that uses Durham wheat which has a stronger gluten bond, but once again – no added malted barley flour. I’ve tested this several times. I’m not sure if this is a histamine/T cell type of food allergy for my dd or a FODMAP bucket issue, but I would think it definitely is something for others to trial and see if it makes a difference. Also, not sure if the malted barley flour is added to the wheat flours in other countries. Do you know if Monash has looked into this?? I would think it would be interesting to have them compare the amount of fermentation when you isolate white wheat flour compared to white wheat flour with the added barley malt. This could be a big contributing factor that some are overlooking. I know I have for years but everything is tougher to sort out with young children. I am not sure that Monash U researchers have looked into this specifically. Food is very complicated, isn’t it! !